Swords will clash when the Utawarerumono visual novel series leaps into the action brawler genre. In fall 2019, Utawarerumono: Zan will be released exclusively on the PS4. Utawarerumono: Zan is a retelling of Haku’s story that started in Utawarerumono: Mask of Deception, only now it includes fully animated cutscenes and more action. After waking up with amnesia, he ends up being caught up in the middle of a war taking place throughout the nation as he tries to learn more about his mysterious past. Similar to series like Dynasty Warriors or Senran Kagura, Utawarerumono: Zan has players choose their favorite character from Haku’s storyline, then have them fight waves of enemies in a stylish fashion. The game will have over 12 characters to play as, such as the main protagonist from Mask of Deception and Mask of Truth Haku, Princess Rulutieh, who rides on her pet Cocopo, and the mercenary Ukon. In another series first, Utawarerumono: Zan has online multiplayer mode. In this brawler, you can play with up to four people online. 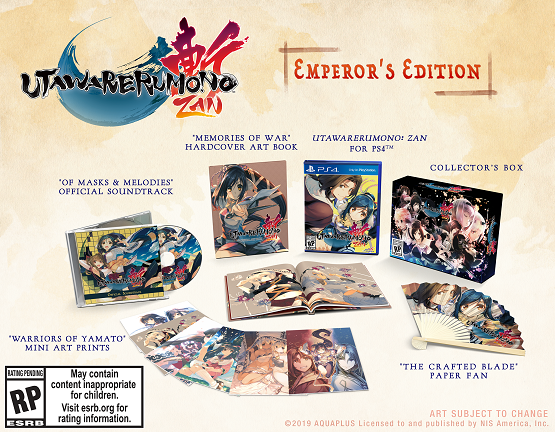 NIS America will also release an Emperor’s Edition for Utawarerumono: Zan. It will be $79.99. It is only available for pre-order on the NIS America online store, so if you hate buying your games online, tough luck! 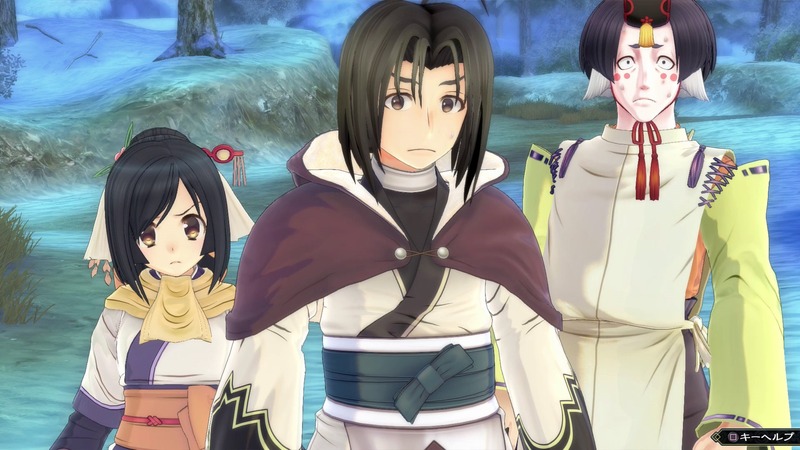 Fans of the series can also look forward to a remake of the first game, Utawarerumono: Prelude to the Fallen, which will release on the PS4 and Vita in 2020. What makes this interesting is that the original game never made it outside of Japan. It came out on the PC, PS2, and PSP in that country. Like Utawarerumono: Zan, it will also be getting a limited edition with a metal keychain, a two-sided poster, and a collector’s box.